Monday – Saturday: 10 a.m. - 5 p.m. Sunday: 12 p.m. – 5 p.m.
Pinkard Gallery (1,179 square feet / 67 linear feet) is located in the Bunting Center. 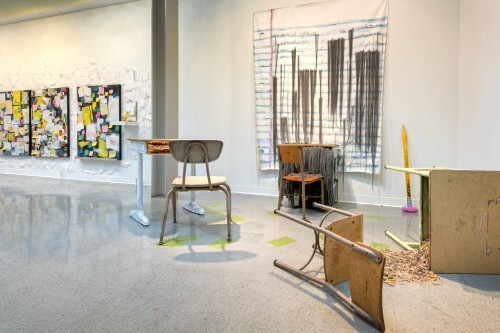 Located in the Bunting Center, Walter D. Pinkard, Sr. Gallery is a venue for major group and solo exhibitions by faculty and visiting artists, as well as students. Major gifts from the Pinkard family's France-Merrick Foundation and Anne Pinkard added the third major gallery space to help accommodate the College's growing exhibition program. Pinkard Gallery was named in honor of longtime Trustee, Walter D. Pinkard Sr.